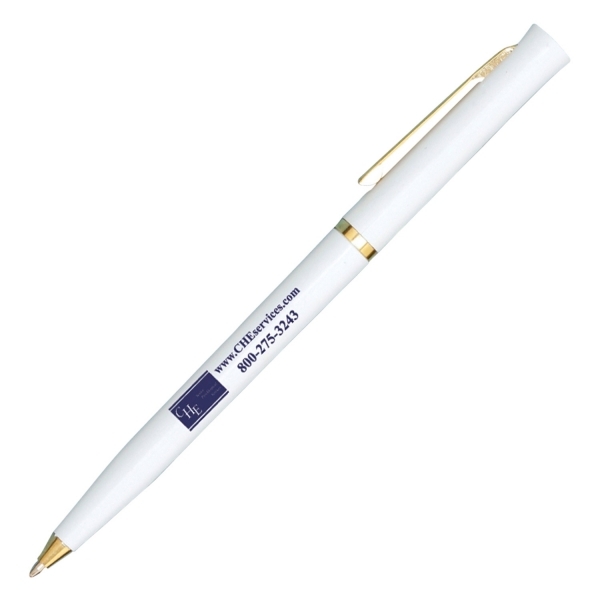 This Angel twist action pen has been around for a long time. 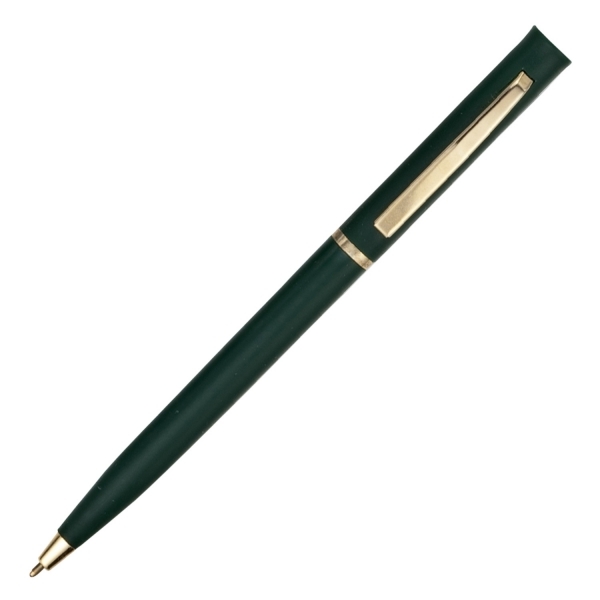 It comes with Green, White, Burgundy, Navy, and Black, with Gold accents. 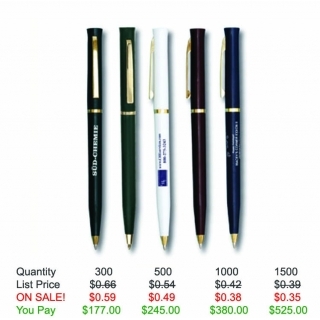 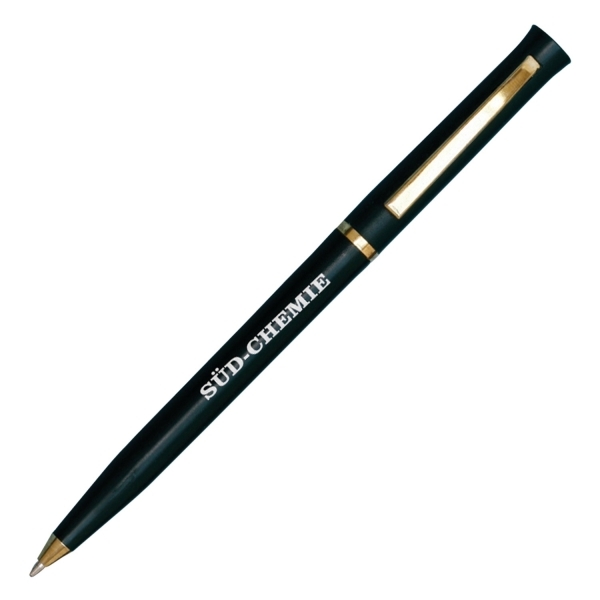 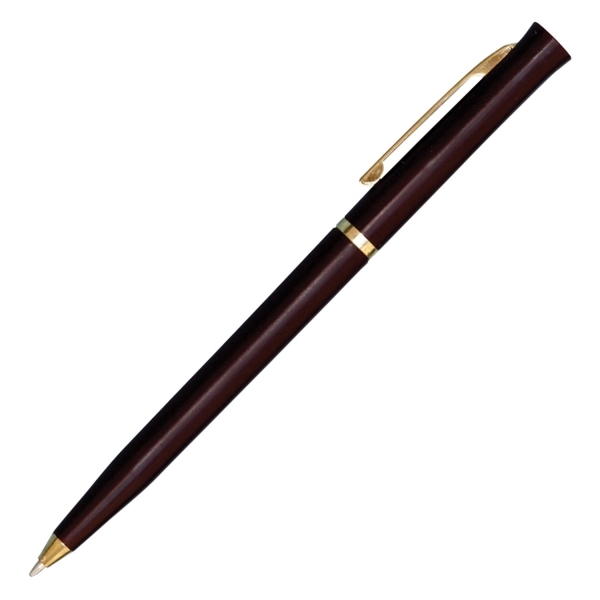 Product Features: This classic twist action pen with gold accents. Item Color: Green, White, Burgundy, Navy, and Black, with Gold Accents.